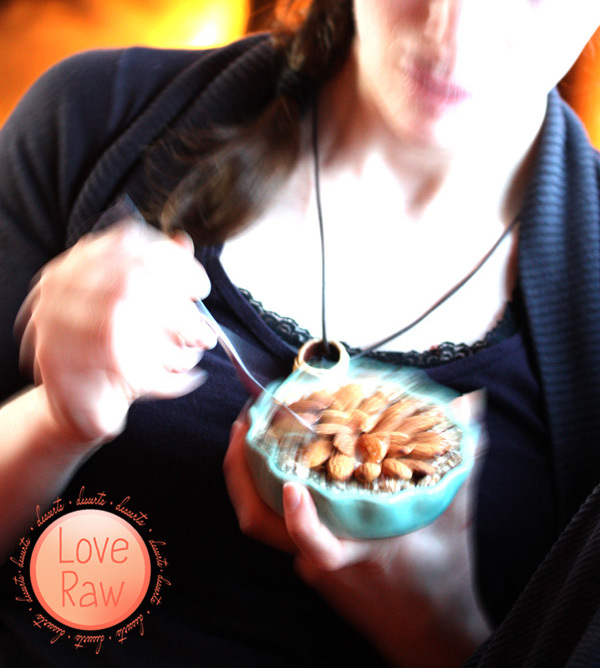 Love Raw: How physical exercise benefit your brain & raw Apple tarts recipe! 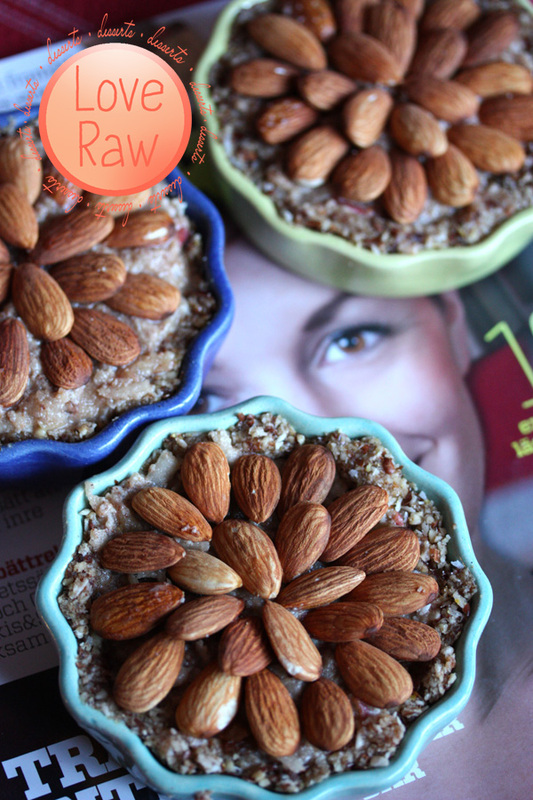 How physical exercise benefit your brain & raw Apple tarts recipe! I think it's a bit of a lucky day for me today. Just came back from the gym, after having a blast with a ball, you know one of theese. I didn't actually work out on it, just bumping and bouncing around having silly fun for a while (plus working out with your partner is serious fun). I forgot my shoes so I couldn't use the treadmill, otherwise my adrenaline-bliss would have reached over the moon my now. When we got home Jakob made a great sallad for me while I made the dessert; some raw apple pies (pics and recipe further down). I also got a super cute fan-mail in my inbox and got some help with the last details of the dessert ebook before the publishing *yay*. Working out is one great way to help new synapsis develop in ones brain. Scientists from The University of New South Wales discovered that working out changes the chemistry of the brain in a way that you more easily can tackle negative thoughts linked to traumatic events. The brain of an exercising body has an increased number of the BDN F protein, which helps the nerve cells to grow in the part of the brain that controls the way we react on stress and trauma. And another research from Cambridge shows that after only a couple of days of working out creates 100 000 of new brain cells! The new brain cells helps your memory and keeps the brain fit and alert. You need to exercise at least half an hour, three times a week to gain this effect. I've noticed that the quality of my thoughts have been improved right after the gym. If you are interested in re-programming your brain (which might be a good idea as the automatic programming we grow up with doesn't do much good...) starting to exercise is a wonderful idea! The type of programming we grow up with are for instance "Life is a competition", "survival of the fittest", "Im not good enough", "I got to measure up" and so on.. is toxic thought-material that swirls around in a huge collective thought-cloud that we get exposed to every day. Im wondering how many of the thoughts in our heads are actually ours and not a part of our cultural programming? (or other worse types of bizzare invisible public programming, but Im not going into this now). We shouldn't identify so much with thoughts, that's for sure. The impact of our thoughts is proved in a collective manifestation in Washington DC, when 4000 yogis from 62 countries came together to meditate in july 1993. Some cool things happened as a result to the meditations project like political changes, wether patterns and crime rates (source: Institute of Science). These are really simple to do! 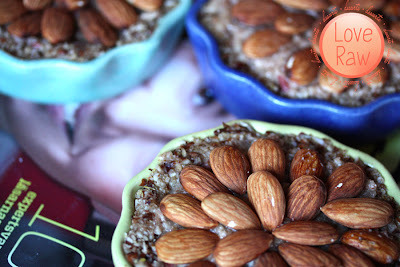 Just make the crust, press it into the cake plate or small forms, make the filing and decorate with apples, almonds, raisins or what you feel like! In a food processor, mix all the ingredients into a dough. Press into a pie form. 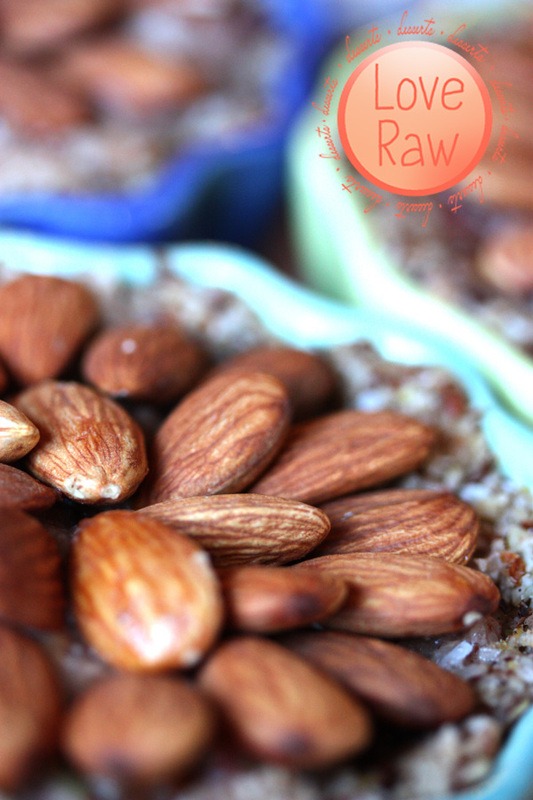 • a little less than 1/4 cup raisins (less if you don't like too sweet desserts). Soon Im going to the stables to ride my new darling - Mackie! She's one fiery lady, she's missing a break.. ^_^ I just love the feeling of getting on a 900 pound wild, mad horse. The sense of mastering this huge animal beats... everything. 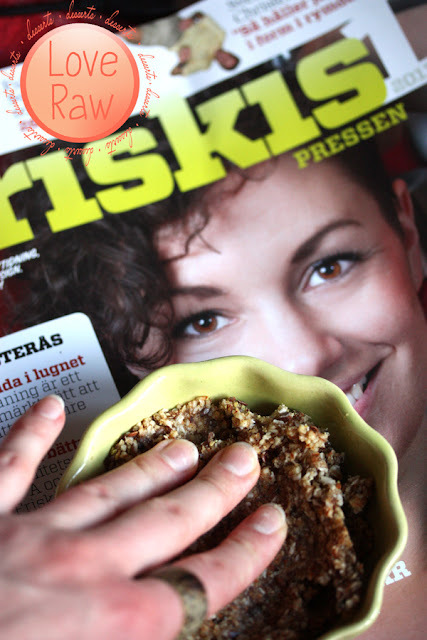 IM SO HAPPY FOUND YOUR BLOG!! The pictures are beautiful, can't wait to try this recipe! !